Even In Prison, Health Care Often Comes With A Copay : Shots - Health News Although the government is responsible for providing health services to people in jail and prison, inmates are still often expected to pay for a share of the treatment. Correctional facilities have to provide health services to people who are incarcerated, but that doesn't mean the care is free of charge. In most states, inmates may be on the hook for copayments ranging from a few dollars to as much as $100 for medical care, a recent study finds. At least 35 states authorize copayments and other fees for medical services at state prisons or county jails, according to the analysis by the Brennan Center for Criminal Justice at New York University School of Law. The Federal Bureau of Prisons also permits inmates to be charged copayments for medical services. Some states and local governments require copayments for emergency treatment and hospitalizations in addition to routine care, says Lauren-Brooke Eisen, senior counsel at the Brennan Center's justice program who authored the study. "It's understandable why jurisdictions need to increase their revenue," says Eisen. "From a public policy standpoint, however, the fees can serve as a deterrent to getting care." The practice is part of a larger trend of charging inmates for prison services, says Eisen. In addition to medical copayments, more than half of states allow prisoners to be charged room and board while incarcerated. They generally also charge for incidentals like phone calls and Internet use. In addition to raising money, prison officials hope that by imposing fees they'll reduce demand for services, says Dr. Robert Greifinger, a former chief medical officer of the New York Department of Corrections who works as a correctional consultant. But fees, even small ones, may not only deter prisoners from making requests for care that prison officials consider frivolous, they may also deter necessary care to keep chronic conditions in check or treat communicable diseases that could easily spread through crowded prisons. An estimated 80 percent of prisoners are poor. Medical copayments typically come out of their commissary accounts, which are often funded by money provided by their families and earnings from prison jobs. 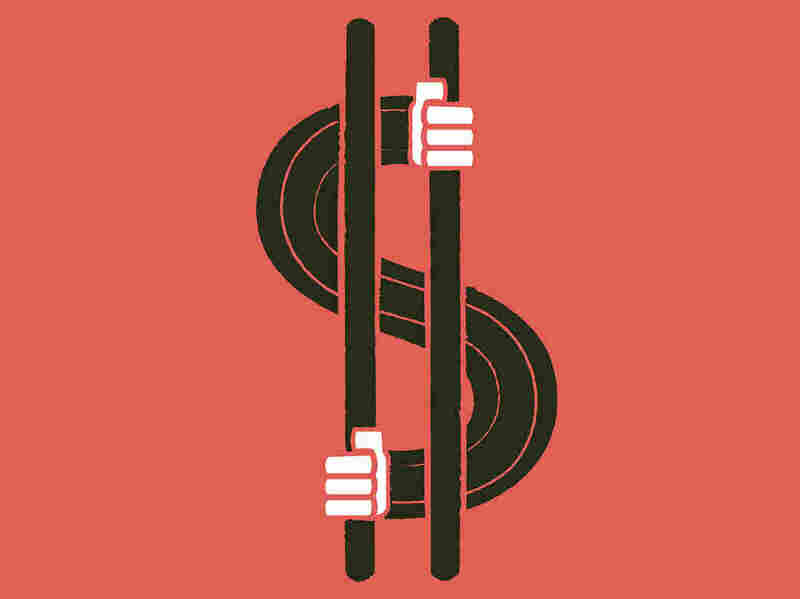 "Prisoners don't have money; they're getting $20 a month from their family," says Greifinger. "If they deplete that for medical care, they don't have money for underwear, soap or food." In a landmark 1976 case, Estelle v. Gamble, the Supreme Court held that not providing adequate medical care to prisoners was a violation of the Constitution's Eighth Amendment against cruel and unusual punishment. But courts have generally allowed prisons to attempt to recoup some of the costs of treating inmates by charging them for their care. At the Bernalillo County Metropolitan Detention Center in Albuquerque, inmates can see a nurse on a walk-in basis rather than having to put in a written request first. The process, implemented two years ago, is intended to give inmates better access to health care services, says Phillip Greer, chief of corrections at the center. Still, sometimes inmates misuse the system and copayments are one way to discourage that, Greer says. Prisoners generally pay $3 to see a nurse and $5 for a doctor visit. If they can't afford to pay, they're not charged, he said. State spending on prison health care grew to $7.7 billion by 2011, with increases of more than 13 percent in half of states, according to an analysis by the Pew Charitable Trusts and the John D. and Catherine T. MacArthur Foundation. But inmates, many of whom are uninsured when they enter prison, often don't get the care they need. Among inmates with chronic medical problems, many didn't receive a medical exam while incarcerated, including 68 percent of local jail inmates, 20 percent of state prison inmates and 14 percent of federal prison inmates, a 2009 study published in the American Journal of Public Health found. Dr. Josiah Rich, professor of medicine and epidemiology at Brown University, conducts a weekly clinic at the Rhode Island Department of Corrections in Cranston. Prisoners pay a few dollars if they make an appointment to see him. But if the doctor initiates the appointment rather than the prisoner, it's free of charge, says Rich, who is also co-director of the Center for Prisoner Health and Human Rights. Recently the prison announced that if a doctor orders Tylenol, a topical cream or other over-the-counter treatment, those items will have to be purchased by the prisoner with commissary funds rather than provided through the prison's medical service at no charge, Rich says. "Charging prisoners for health care is yet another way of kicking them when they're down," Rich says.